Deep in the wilderness, atop Levi Mountain sits Levi Ski Resort, the largest ski resort in Finland. A winter wonderland for snow lovers, the site boasts 43 ski slopes, 27 lifts, and 200 km (124 mi) of cross-country trails north of the Arctic Circle. 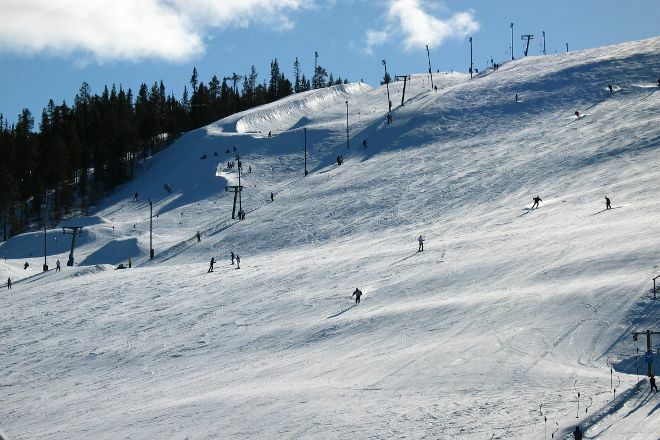 The resort offers classes for beginners of all ages, though it also has three black slopes for advanced skiers. You can also visit the Levi Ice Hotel and Ice Gallery nearby. A number of events are held here, including the Alpine World Cup Race. 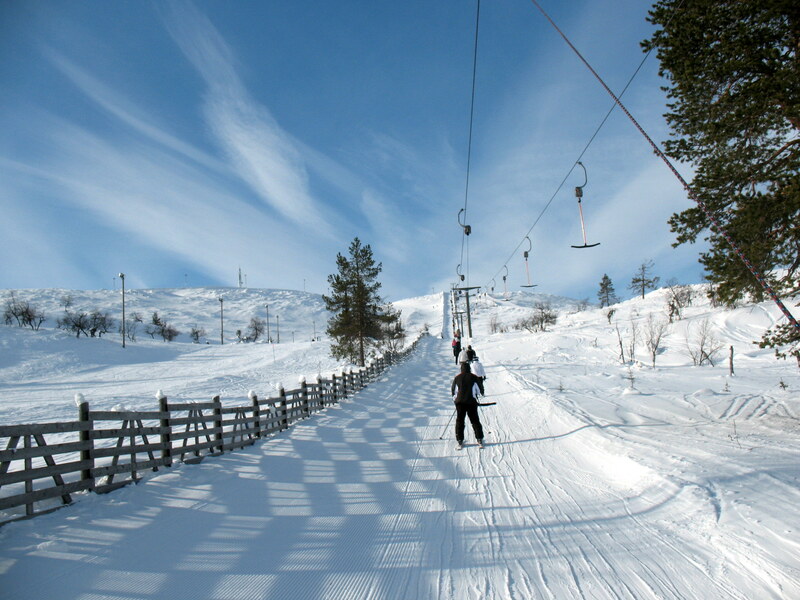 See Levi Ski Resort and all Levi has to offer by arranging your trip with our Levi holiday planning website . It's just an incredible resort. Nature is fascinating in summer and winter! Dwarf trees in snow, reindeer freely walking, snow-covered roads (but cleared) and the realization that you are above the Arctic circle and close to Santa Claus lives, makes this place amazing tale. And even there you can see the northern lights-isn't it a miracle? In addition to descent (a lot and well-maintained) there's everything: skiing on deer, dogs, skates, cross-country skis, lasertag, fishing, snowmobiling, all kinds of restaurants and cafés with local and European cuisine. Great Hill for beginners-southern slope. Of course all this magnificence, not cheap pleasures. Nice scenery! 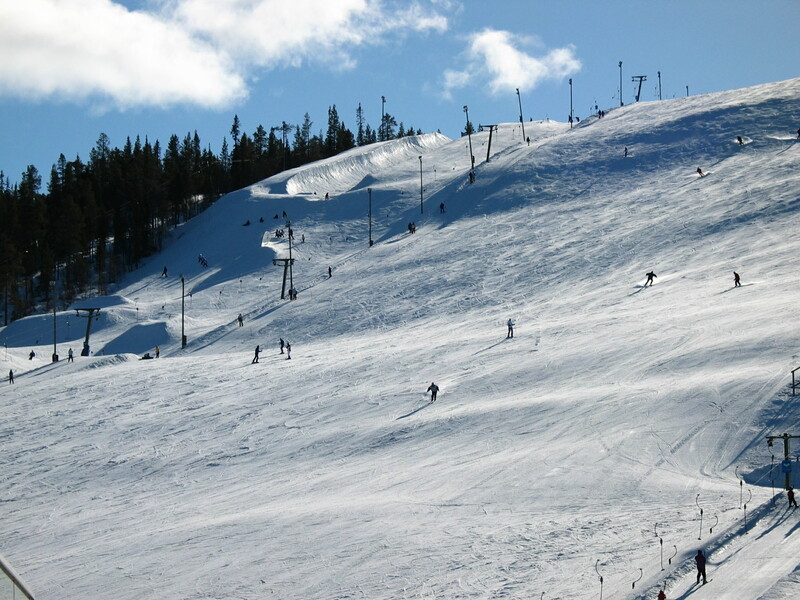 The lifts and slopes here feel a bit confusing to navigate in the beginning, but on the second day it is much easier. It would be nice if there was directions in the area on how you can navigate get from the north side to the easy slopes that are on the south side.